Aonuma-san, today I would like to begin by asking about your experience on the concert tour1 covering Japan, America and the UK. I just happened to be on business trips so I couldn’t attend any of the concerts, but everyone who went talks about it with joy. 1Concert tour: The Legend of Zelda 25th Anniversary Symphony Concerts held in October in Japan, America and the UK to commemorate the 25th anniversary of The Legend of Zelda series. Yes! (laughs) I’m so thankful that everyone who came said it was excellent. I’ve heard that many people had tears in their eyes as they listened. That’s right. I did, as well. By listening to a live orchestra, various feelings awakened within me. Tears formed, and throughout the concert, I felt elated and chills ran up and down my spine. Not just for a moment, but during the whole concert. Yes. In Japan, many people listened with tears in their eyes. Even the presenter was surprised. I suppose everyone remembered their experiences playing the games. Music has the power to awaken memories. During the overseas concerts, images from the games were projected on a screen. In my case, I remembered making the games. Oh, right. (laughs) Your memories include making the games. Yes. Hard times and all sorts of times! (laughs) My memories of those times came back to me vividly. America was quite an experience! Unable to contain themselves, they must have given voice to their feelings, like it simply wasn’t an occasion for sitting and listening quietly. Perhaps that’s a difference between Western culture, which is less hesitant to express emotion, and Japanese culture, which encourages a certain restraint. Did England make a different impression than America? I had heard speculation that the audiences wouldn’t be quite as effusive, but that wasn’t true. (laughs) They were comparatively quiet at the beginning and during the middle of songs, but when each song ended, the clapping and cheers were immense. Yes. (laughs) That was about the same. In London, Ms. Zelda Williams2 came on stage as a guest and everyone went wild. 2Zelda Williams: An actress whose father is American film actor Robin Williams. Her father named her Zelda because he is a big fan of the series. In Europe, she appeared in TV commercials for The Legend of Zelda: Ocarina of Time 3D, The Legend of Zelda: Four Swords Anniversary Edition and The Legend of Zelda: Skyward Sword. (Koji) Kondo-san3 played a piano solo for the encore. 3Koji Kondo: Software Development Department, Entertainment Analysis & Development Division, Nintendo. 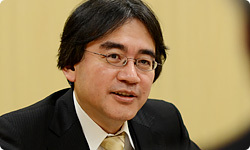 He has composed music for series like Super Mario and The Legend of Zelda. (laughs) I heard that he played something from The Legend of Zelda: The Wind Waker.4 Which song was it? 4The Legend of Zelda: The Wind Waker: An action-adventure game released for the Nintendo GameCube system in December 2002 in Japan. 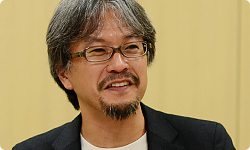 Aonuma-san, today I would like to begin by asking about your experience on the concert tour 1 covering Japan, America and the UK. “Grandma’s Theme.” It’s not a famous song, but everyone knew it. And what was really amazing was he hadn’t even practiced! Huh? He jumped straight into the performance without a rehearsal? Yes. Kondo-san said he chose it because there was no way he could mess it up. (laughs) Apparently, he was more jittery over the speech afterwards. While the people in each of the three places may express their emotions in varying ways, I think the feeling in their hearts is the same. As you accompanied the concert, you met with the overseas media. How was the response? I heard that many overseas critics who are known for their harsh reviews gave the game high remarks. Right. On top of that, almost everyone said that The Legend of Zelda: Skyward Sword is the greatest game in the history of the series. Until now, the same thing was said of The Legend of Zelda: Ocarina of Time.5 5The Legend of Zelda: Ocarina of Time: An action-adventure game released for the Nintendo 64 system in November 1998 in Japan. The remake The Legend of Zelda: Ocarina of Time 3D was released for the Nintendo 3DS system in June 2011. Of course, the games since The Legend of Zelda: Ocarina of Time received favourable reviews, but they say Skyward Sword far surpasses them. And they ask how we were able to do it. They’re all eager to know the reason. But it’s really difficult to give a simple answer. Nonetheless, later on I would like to ask why you were able to do it. For now, though, did anything else on this tour across the world make an impression on you? The European media were a little different. They invited enthusiastic fans to accompany the interviews. Did they ask questions themselves? Yes. One fan was the winner of the Legend of Zelda fan movie contest, so he really loves the series. What was his movie like? It was a 2D stop-motion animation of Zelda made from paper. That alone was amazing, but it also included elements from the whole series. Supposedly, it took a week to make, but it was so amazing that you’d think it was impossible in that amount of time. We really appreciate such dedication. What did all those enthusiastic fans want to ask and talk to you about? 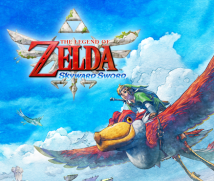 First, they would say which titles in the series they like, and then, without fail, say that The Legend of Zelda: Skyward Sword was even better. But they hadn’t played it yet, had they? No. (laughs) Nonetheless, they were adamant, saying, “I can tell just by the videos!” (laughs) They’d say, “Because it looks like we can do such-and-such and such-and-such!” And they’re right. They haven’t actually played it, but they have interpreted, in their own way, information gleaned from the videos we’ve released. I think it has thoroughly gotten across to them this time. Talking to the media and fans, I could sense from their excitement that they have grasped this game’s density of content.